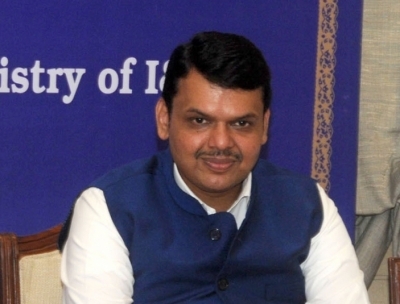 Mumbai April 9 (IANS) Politics and theatre have a similar nature with the common people s involvement a major part in both Maharashtra Chief Minister Devendra Fadnavis said on Sunday. "A theatre is a place where all the sentiments of the society are highlighted. Politics is no different. We have to perform acts there too- some are true some are false. But I believe that our audience is so intelligent that when the act is false it rejects us and when our sentiments are true it again and again chooses us. "And I feel this is the similarity between theatre and politics " he said at the closing ceremony of 8th Theatre Olympics here in the presence of actors like Nana Patekar and Nawazuddin Siddiqui and Union Culture Minister Mahesh Sharma among others. The 51-day long 8th Theatre Olympics the biggest international theatre festival held in India so far staged more than 400 plays and hosted 78 allied events including 34 Living Legend series 29 Master Classes seven Interfaces six national and international seminars and two workshops across 17 cities. Besides about 600 ambience performances and 250 youth forum shows took place during the nationwide event. The event was organised by the National School of Drama (NSD). "We get many chances to show our strength and potentials but 8th Theatre Olympics has given us unprecedented opportunity to show the power of our culture. 8th Theatre Olympics could not have been possible without the inspirational support of Dr Mahesh Sharma our beloved and visionary Culture Minister. "NSD is proud to have organised an event that has shown the cultural might of India a vision shown by our honourable Prime Minister Narendra Modi " said NSD Director Waman Kendre. The evening was quite colourful with various folk dance from every state of India to celebrate the diverse culture. The ceremony concluded with Rang Shikhar a collage of tribal folk and theatre performances.